Ordinary Miracles – This blog is my story about a life forever changed by chronic illness. I hope you'll laugh and cry with me as I try to make sense of it all. Oh, and nothing I say should ever be construed as offering medical or legal advice. I’ve often imagined my illness as a huge imposing monster around whom I need to tiptoe for fear of incurring his wrath and consequences. Well……. It turns out I am dealing with a monster, only it’s microscopic and has a name: Borrelia Burgdoferi, the pathogen which causes Lyme Disease. The chances are I picked it up by being bitten on a hill walk in 2006 and it has been making itself comfortable in my brain and nervous system ever since. Upon diagnosis, I was elated, almost euphoric. I had an answer to my medical puzzle which made sense: I’m harbouring a bug known to evade, suppress and manipulate the immune system, wreaking absolute havoc as it mutates into various forms: spirochetes, cysts, biofilms and so on. Little wonder I can’t get well. But there’s treatment so let’s get after these bugs! Then the reality set in. As I read more about Lyme, I found myself through the looking glass, behind the wardrobe and down the rabbit hole staring into a pit of confusion, politics and multiple scare stories. Let’s start with something rather fundamental. It is a matter of controversy to say you have chronic Lyme Disease; apparently it doesn’t exist within mainstream medicine. Caught in its acute stage antibiotics will be administered. Left untreated for 12 years, the options are decidedly limited. Indeed, my German lab results will not be accepted by the NHS. So, armed with lots of information gleaned from various Lyme forums and websites, and advice from my independent doctor, I decided on a course of treatment involving antimicrobial herbs. Any lingering hope that I’d had a ‘false positive’ result evaporated very quickly. At even the minutest dose of two herbs I suffered a reaction which truly defines the word ‘intolerable’. Every symptom was cranked up fiercely, I collected a bunch of new and very scary sensations and my every waking hour (and that was most of them as I couldn’t sleep) was accompanied by a pronounced feeling of being in mortal peril. It was truly hellish. After persevering for 3 weeks, I finally gave in and called in the cavalry in the form of my doctor and psychotherapist. It’s difficult to convey adequately the fear of being trapped with an infection which renders my life an existence but where the mildest of treatment is infinitely worse. This is truly one of these illnesses where you need to experience the full gamut of its effects to have any notion of how it feels. I’m not ashamed to say that, even after 12 years of this, I was in absolute despair: the suffering was so profound. And, from everything I had read, there was no happy ending. Around 3 weeks after the first attempt at treatment, and working hard at it, I returned to my ‘normal’ state–very debilitated but not living in a constant state of extreme sympathetic nervous system activation. Time to try again! This time, on advice, I changed the treatment to a form of herbal tea, starting with very low doses and increasing gradually. It took a couple of weeks but again I hit the intolerable wall. This time, I stopped quickly, rested and have re-started, at a glacial pace, with even more dilute and tiny doses. Whether this will work or I’m doing no more than tickling these bugs I don’t know! I know that the reaction I’m having is well documented as a Herxheimer reaction and there are various schools of thought about coping with it. I prefer the view that suggests it’s a clear sign your body isn’t coping with the rate of die-off and that stepping back to a level where the sensations are tolerable is the way to go. It’s all very much a work in progress and I view the antimicrobial tea is just another addition to all the other supplements, diet, psychological care and relaxation protocols I’ve been amassing over the years. For now, I’m in a ‘hope and acceptance’ phase, making the best of an unfortunate situation. *With my grateful thanks to David Skidmore aka @Lymeloonies who kindly allowed me to include his wonderfully evocative cartoons. May I share one of my pet angsts? Folk who don’t turn up on time! Today it’s my solicitor. I prepare myself carefully for the appointed hour. You all know what that involves. As the minutes tick away afterwards, I can neither rest nor do anything else besides behave like a meerkat sentry. Now 28 minutes and counting….. I received a lot of supportive, empathetic replies from folk who understood my predicament, the finite nature of my resources and the knock-on effect for my health. There were a couple of unexpected replies that took me aback a bit and got me thinking. One chap said: ‘ you’ve a Type A personality, google it’ and another lady kindly outlined her strategies for filling in the time when other people are late: reading, knitting and so on. So, if this lady can calmly adopt distraction strategies, why can’t I? Is it a product of my personality? Can I make any changes to benefit me? Similarly, at home, with sole responsibility for 3 children, being alert and responsible at all times was entirely appropriate and useful. And there is nothing wrong with this whatsoever. Being in a very alert state drains energy rapidly, introduces adrenaline and can be sustained for variable but always limited periods of time before I start to struggle in a variety of increasingly unpleasant ways. Then there’s the recovery….. I think becoming aware of this is the first step to doing something about it. It would benefit me enormously to keep relaxed no matter who’s visiting and whether they’re on time or not. At the moment, I’ve no grand plan as to how I’m going to reverse decades of ingrained behaviour but I guess I’ll start on it with my next meeting tomorrow. All ideas, comments, thoughts and suggestions are very welcome! My usual pithy reply to this oft-repeated gesture of sympathy is ‘because I have no option’ which is true and generally suffices. After all, no-one wants to be treated to a viva voce dissertation on coping with the slings and arrows of chronic illness. But I know you want to know, don’t you? I don’t go beyond the lowest rung of Maslow’s hierarchy of needs. Self-actualisation is so last century! I don’t compare or compete. My aim is simply to feel as calm, relaxed and comfortable as possible. If that has an ‘end of life’ vibe about it, that’s just how it is. I’m not ill enough to die (mercifully) but no-one would mistake my existence for living in its truest sense. Anything I manage beyond that is a bonus. This works. After all, it’s the hope that kills you! My nervous system involuntarily runs on fast-forward, like an LP played at 45 rpm. It dictates the play for every bit of me. This is exhausting, scary, uncomfortable and sometimes painful. Relaxation comprises being horizontal, breathing consciously and keeping calm. No candlelit baths and floaty music; tried that-far too stimulating. Repeat this as often, and for as long as required, to achieve relative peace. Besides the distractions that come with life, there’s a real skill in finding stuff to do, or think about, that is commensurate with one’s current state of craptitude. It can’t involve much level of commitment as unreliability rules. It can’t be too boring as I’m still a sentient being. It shouldn’t be too stimulating or exciting or I pay the consequences. I fall back on audiobooks (shout out to Listening Books, an absolute Godsend of a charity), a bit of telly, spouting drivel on Twitter, and an occasional dive into Duolingo pretending to learn Greek. And writing this, and communing with my offspring, and supporting Celtic, and looking at my garden and…..
And that’s it. Now you know! Keen observers of this blog might have spotted that I’ve been somewhat reticent on the committing thoughts to the ether front. Not that I’ve been entirely idle in the last couple of years, just not sure that writing about it would be valuable to writer or reader. I’ve decided to give it another go and thought I might start with a brief overview of various steps I’ve taken in the quest for knowledge, treatment and recovery. In short, I’ve employed the services of a health coach, a doctor of functional medicine, and a psychotherapist. I’ve had a number of biochemical tests, the results of which have helped me understand a few things that are amiss, some of which I’ve been able to do something about. The coach and psychotherapist have helped me deal with the enormous challenge of managing a dysfunctional nervous system. So, what did I discover that I could act upon? Quite a lot actually: vitamin deficiencies, mitochondrial dysfunction, food intolerances, the presence of and sensitivity to toxic chemicals especially lead and mercury, iodine deficiency, neurotransmitter imbalances, chronic infections, chronic hyperventilation and so on. It’s a source of deep concern to me that the NHS does not conduct these tests. Who can say what my prognosis might have been had mercury been identified as an issue when I raised it in 2006 as a possibility? What steps have I taken? My diet has changed radically. It’s probably easier to list what I do eat: meat, sardines and mackerel, vegetables, potatoes, nuts, seeds and a handful of berries. I drink only filtered water and ginger tea. For a treat Ombars and Deliciously Ella energy bars. I lost over 3 stones in a year despite being horizontal most of the time. As well as being intolerant of wheat, gluten and dairy I’m off -the-scale allergic to eggs which I’d never have guessed! I’m also on a regular supplement regime, and another one, pulsing on and off, to try to rid my body of the mercury which is stored in my tissues. I did try an infra red sauna which is highly recommended for sweating out toxins. Sadly, I had a truly unpleasant reaction and am unwilling to give it another go right now. The main thing I did was have my amalgam fillings replaced, over 4 intensely stressful sessions. I’ve also added self-hypnosis and yoga nidra to my battery of relaxation techniques. Am I better though? After all, that’s what I want. I think it depends on how you define ‘better’. If it’s overall function, then the answer is no. My ability to perform normal activities remains as grossly impaired as before. If it’s about coping better, having more knowledge and understanding, and being more confident in the choices I make then the answer is yes. Mostly. Largely, it remains as it always was: walking on quicksand, with no certainties, no baseline of ‘safe’ activity levels and a sense of keeping going, doing my best with what I’ve got. All of this is ongoing. I’m due to take another test on my hormones soon and will be repeating the mercury sensitivity test. I don’t consider that the time and considerable expense have been wasted just because I am still very ill. The knowledge I’ve amassed alone makes it worthwhile. I live in hope that, over time, the small changes I’m making, or one I’ve yet to find, will finally unlock the big door marked ‘Healthy and Well’. There is no silver bullet cure for ME. Indeed, there is no silver bullet for managing the condition. Some folk recover, fully or partially; some endure ups and downs but never really get better; and some, sadly, get progressively worse. Why that should be remains a medical mystery. I’ve read countless stories of recovery. As I’ve mentioned previously, I don’t always find these inspirational although I’m delighted for the people concerned that they have found a path to wellness. Meanwhile, I continue on my own path looking for any old rusty bullets that might do the job of supporting my body in its healing work. Last week I had my first session of Craniosacral Therapy. This involved a fairly gentle massage of the spine and head. Immediately afterwards I felt delicious, normal tiredness. I also had a flash of insight: after all I’d suffered and endured, researched, studied and learned I was still failing in the basics of looking after myself. I realised that I remain in striving mode, pushing for improvement, measuring, reviewing and finding myself wanting. I feed my cravings for activity and force my development. Invariably, I give more than I’ve got, pushing at or beyond my limits, often in an air of quiet desperation. That led me to thinking about the recovery stories. What is it that each have in common? After all, they seem to be so different in narratives, symptoms and variety of drugs, supplements, treatments and lifestyle changes. I think it is this: to stand a chance of recovery you must be disciplined about being kind and gentle with your body, mind and soul. I liken it to bringing up a baby. Who would feed a baby liquidised burger and chips, allow it to be over-stimulated by flashing images or ask it to walk and talk before it was able? Then scold it for failing to thrive? Does this sound like the ultimate paradox? To recover, we need to stop striving to achieve it. Instead, be disciplined enough to take proper care of ourselves. For my part, I thought I had been doing just this and the reality came as a bit of a surprise. So, I’ve paused and am contemplating the way forward. With self-discipline and gentleness. 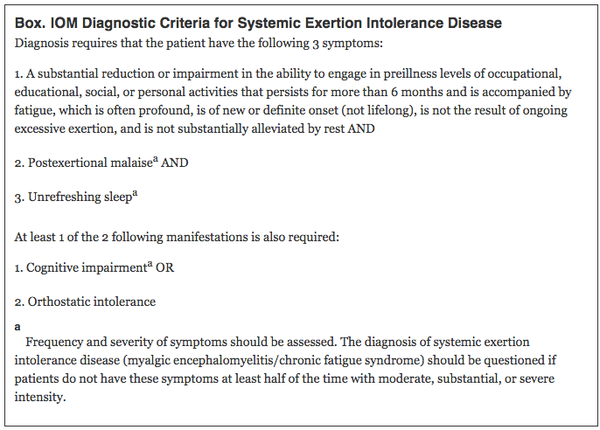 My gut reaction was to welcome the criteria as they fit most closely with my particular experience (especially orthostatic intolerance) but I recognise that naming a disease after its symptoms is problematic. Only time will tell where this will go but there are some promising signs that the seriousness and degree of devastation of this illness are being recognised. As the title suggests this is all about eating good, unprocessed, healthy food every day. I love it! I can’t do a lot with it though as it involves standing to prepare and cook. I have managed a couple of recipes though: chicken curry, seafood one pot (although I did eschew the squid in favour of more prawns) and a mackerel salad. Quinoa features quite a bit. Tried it; prefer rice. 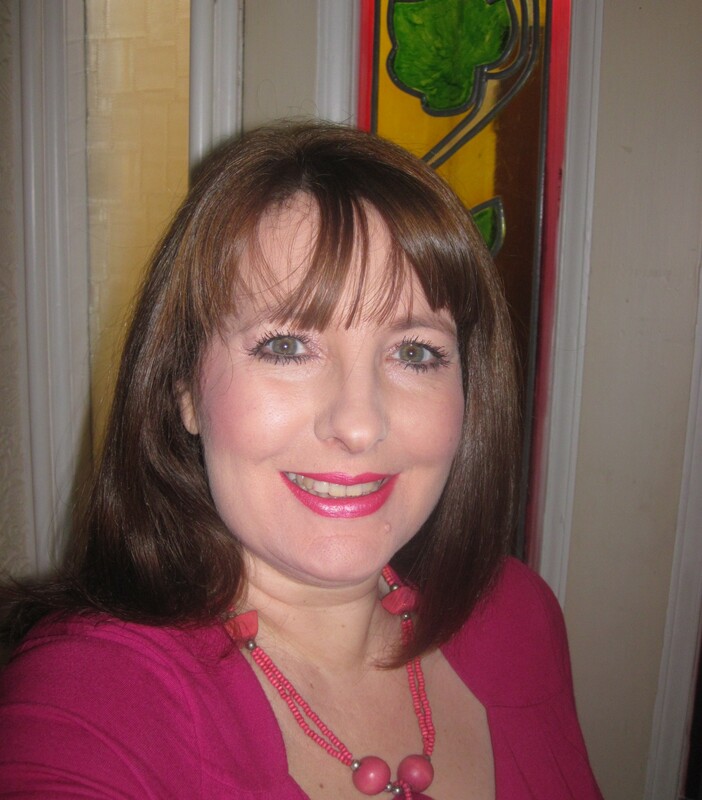 This is Helen’s story of her illness, soul-searching, investigation, therapies and recovery. I was attracted to reading it because it is based on Polyvagal Theory, about which I wrote a post last year. It is a hugely interesting book and Helen’s three-tiered approach to recovery has given me much food for thought. I consider it a most valuable addition to my store of resources about holistic medicine. I also want to thank Helen who has been hugely kind and generous in answering my questions, sharing her knowledge and wisdom, and directing me to sources of help. I love historical fiction. I read Wolf Hall and Bring up the Bodies recently, Hilary Mantell’s award-winning books about Thomas Cromwell. To be honest I found both very ponderous and tough going in places. She was rather harsh on Thomas More too which I didn’t altogether appreciate! It was therefore a delight to encounter these two books which follow the fortunes of King Croesus from king of unimaginable wealth to slave. Exquisitely written and a joy to read. The standout man of the books for me is Isocrates, a fellow slave, who gets all the best lines and wisdom. I didn’t know who Paul was or anything about him until I read an article tweeted by the ME Association which, very probably, is the best article I will ever read about ME. I then learned that he was a football writer and had penned a novel. So I decided to give it a go, having no real knowledge of what it was about but expecting it to be well written. Oh boy! It knocks your eyes out and takes a good rummage round your psyche, poking sharp elbows in tender spots. It defies categorisation somehow, possibly psychological mystery comes somewhere near. That Paul managed to write a book of this quality while trapped in the ME divers’ suit is remarkable. A fantastic read!